Indie Retro News: DamienD's WinUAE Collection - A MASSIVE Amiga haul of playable games using WinUAE Amiga emulator! 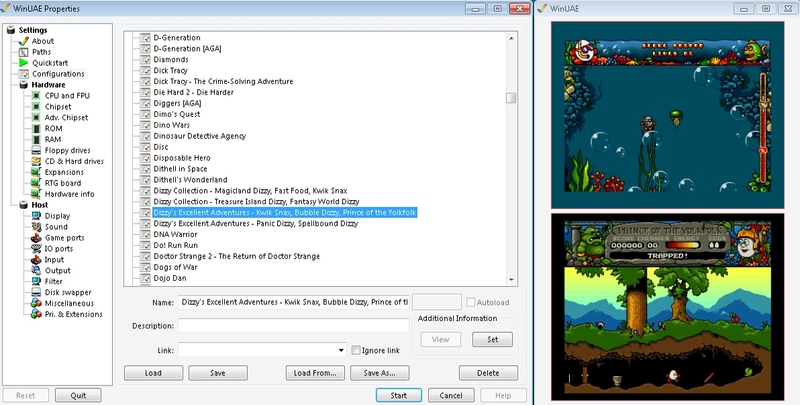 DamienD's WinUAE Collection - A MASSIVE Amiga haul of playable games using WinUAE Amiga emulator! DamienD is no stranger to the Amiga community, as through 2017 he had released many Amiga CD to Hard Drive conversions that enabled us to play those classic games without the need for the CD. Games such as Code name Hell Squad, Wasted Dreams, and T-zer0 to name but a few. But this time he has excelled himself, as instead of doing a conversion he has released the DamienD's WinUAE Collection; a massive pack of games through 12 years or more of work, which enables YOU the gamer, to play over 11GB of games already set up through the latest edition of the Amiga emulator WinUAE. Now some of you may be aware that during the last week Toni Wilen released the final edition of WinUAE 3.6.0, which had a new feature for box art and screenshots that could be added to each game configuration. So with this new feature, DamienD used his knowledge to not only add as many Amiga games as possible in the package that can be loaded simply by selection a game in the list, but each one now comes with a screenshot on the side. According to DamienD, this is mainly a disk based collection but in the past 2 years he has also been adding in: Custom .HDFs created for games that don't run from floppy, Custom AmigaCD --> HDFs; again created by himself, and a few WHDLoad games where major bug fixes over the floppy version has occurred all totalling a massive 11.9GB uncompressed! Set "Floppy Drive Emulation Speed" to "800%" (which works fine for 95% of games). Toggle "Warp" mode on / off i.e. <End> + <Pause>. 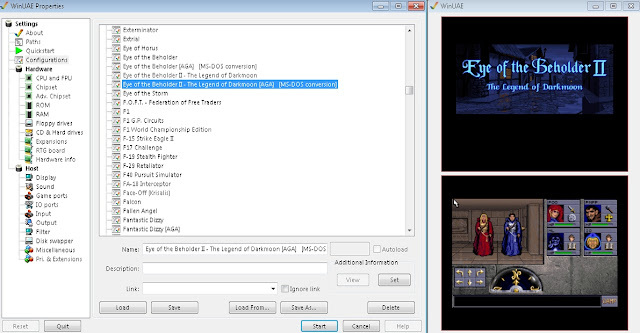 All games are configured to be run in "Fullscreen" mode. 60% of the games run in a resolution of "640x480", 40% in "720x576". "Keyboard Layout B" is set for "Port 2"; obviously if you plug in your joystick / controller and press button one it will swap over. I love / use scanlines, these are set at 50% opacity and very rarely 25%. Onscreen LEDs are turned on so you can see activity.